THIS COURSE MAY STILL HAVE A SPOT AVAILABLE... PLEASE CONTACT avalanche@cmcboulder.org to inquire. Field Trips: SAT 2/9/19 & SUN 2/10/19 either in Rocky Mountain National Park or Roosevelt National Forest , start time TBD, but you will be in the field all day. The AIARE 1 Decision Making in Avalanche Terrain is a three-day / 24-hour introduction to avalanche hazard management. 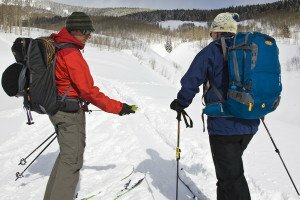 This course is offered through Colorado Wilderness Rides and Guides, a boulder based AIARE provider.